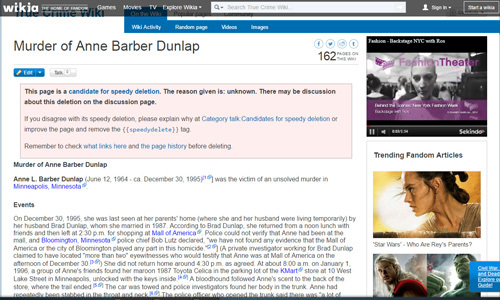 The murder of Anne L. Barber Dunlap is hard to research. Many details online have been deleted, links to newspaper articles are broken, and the rest is repetitive. In this post I will try to sum up what I found in the public domain (see resources below). Anne was born on June 12, 1964. Her date of death is set on her grave stone as Saturday December 30, 1995. That is the day that she was last seen. Her death certificate however is set to Monday January 1, 1996. That is the date that her remains were found. Cause of death: multiple stab wounds and cuts to her head and neck. 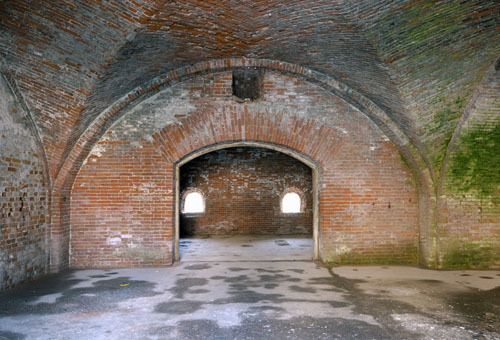 At the time of the murder, Anne and her husband Brad Dunlap were living temporarily with Anne’s parents while they were building a new house. She worked as a marketing manager at Pillsbury since the mid-’80s. 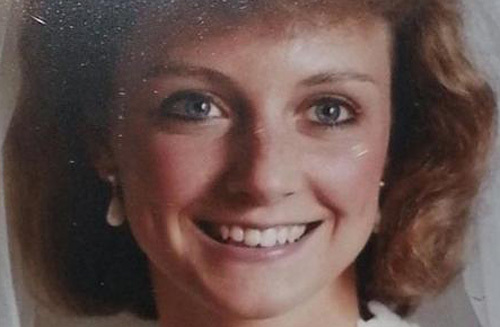 Dec. 30, 1995: Brad Dunlap told police that Anne came home around noon from lunch with friends. She left again around 230pm for shopping at the Mall of America in Bloomington, Minnesota. Police say that no witnesses can confirm that Anne ever was at the Mall on that day around that time. Anne was supposed to return around 430pm. According to information earmarked as to be deleted (see below) a private investigator for Brad Dunlap contradicts this. Anne is more than 4 hours late/missing before anyone calls the police. Cell phones were already around in 1996 but I have not been able to find whether Anne had one or, whether she had a car phone. If she had either one I wonder what happened to those call records. There is no information in the newspapers what the call records from the parents’ home revealed. If your partner is more than 4 hours late you would probably start calling her friends. Brad contacted the authorities again the next day. Jan. 1, 1996: Around 8am, Anne’s friends find her unlocked maroon (City Pages describes the car as red) 1987 Toyota Celica parked at Lake Street in Minneapolis, in the K-Mart’s parking lot, with the keys in the ignition. I wish we could examine it for touch DNA. 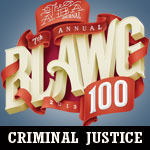 In 1996, Bill James was in charge of the Minneapolis Police Department’s forensics garage. When Anne’s car was towed to the forensics garage James opened the trunk and found Anne. Police suspected that she was in the trunk and had towed the car unopened. That is a pity because I was hoping that the inner fabric/lining of the trunk had been preserved. Why? Look up the 1987 Toyota Celica online. They seem roomy enough to hold a body but still a person’s knees would have to be bend as well as the neck. I have not been able to find any information about Anne’s body position while in the trunk. Was she on her left side or right side? Her knees would have to be pulled up. Did her head follow the direction of her knees? Why does this matter? It could tell us a bit about the one who killed her. How was she placed in the car? Head first and then legs pushed in could mean that her head turned and then hairs would have been left on the inner trunk’s fabric. If she was stabbed while already laying in the trunk then the directions and depth of the wounds could tell us whether the killer was left or right-handed. The edge of the trunk and the inner fabric could hold touch DNA. The M-Vac would be able to bring some clarity to this case. Maybe the authorities do have this information but kept it undisclosed for obvious reasons. But if James says “It will never get its day in court” then I am afraid that the fabric/lining was not torn out, preserved or, analyzed for touch DNA with modern technology. Feb. 6, 1996: A small amount of blood is found in the Barber garage. Remember that Anne and Brad lived temporarily with Anne’s parents while building a new home. Police searched the house about three times. I did not find any firm dates about those searches. 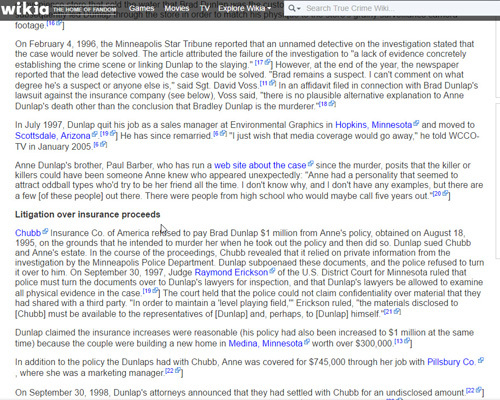 Oct. 23, 1996: Brad Dunlap files suit trying to collect $1 million from his wife’s life insurance policy. His legal battle starts with Chubb Insurance Co. of America. They refused to pay the $1 million dollars from Anne’s life insurance policy. They based their refusal on documents from the Minneapolis Police Department. In those documents they found support for their suspicion that Brad had intended to kill Anne when taking out the life insurance. 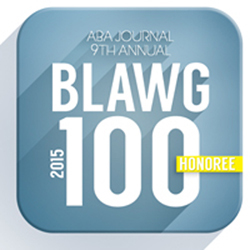 For more details about this legal battle, click here. July 1997: Brad Dunlap quits his job as a sales manager at Environmental Graphics in Hopkins, Minnesota and moves to Scottsdale, Arizona. He has remarried. September 30, 1998: Brad Dunlap’s attorneys announce a settlement with the insurance company for an undisclosed amount. May 16, 2013: CBS Minnesota reports about a new tip in this case that came in several months before. Assigned to the case is Lt. Richard Zimmerman and he is starting from scratch with what sounds like, a new team. About the tip he said: “We wish the caller had called us back in 1995 or 1996, but for some reason they didn’t,” Zimmerman said. About that new tip Zimmerman would only say that it “involves a conversation Brad had years before the murder. His investigators will be retesting evidence using new DNA tools.” This is the last update in Anne’s case that I have been able to find in the public domain. A bloodhound supposedly followed Anne’s blood scent to the back of the store (I assume K-Mart) where the trail ended. I have not read that anywhere else. It would support the fact that Anne was at K-Mart shopping but at what time? According to the medical examiner she died around 330pm. Anne’s $10000 wedding ring and purse were missing. Was the wedding band the only piece of jewelry missing? Anne had not been sexually assaulted. I have not been able to find anything about this elsewhere either. I assume that she was fully clothed. If her clothes were properly preserved they should be examined for touch DNA especially around the knees, under the armpits, and her neck (all the places where you put your hands when you pick someone up who is unconscious). Allegedly police thought that Anne must have been stunned before being placed in the trunk of her car. This implies that she was murdered while already in the trunk. If so, the inside of the trunk’s lid should have a blood pattern with a trajectory consistent with slashing a body in a horizontal position. I have not found any information about this either. Neither have I found anything about a stun gun. When a spouse dies the surviving partner gets full police attention. Let’s look at what we can find about Brad (again, resources below). Dec 30, 1995: Brad Dunlap said that he was running errands from 230-430pm after which he would meet Anne. A lot of links mentioned in various papers are broken. 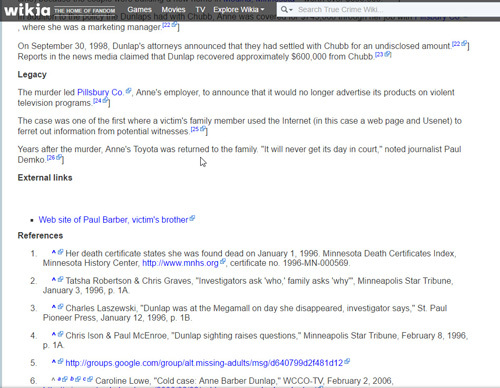 The True Crime Wiki links do not work anymore. Newspaper sites have been taken down. 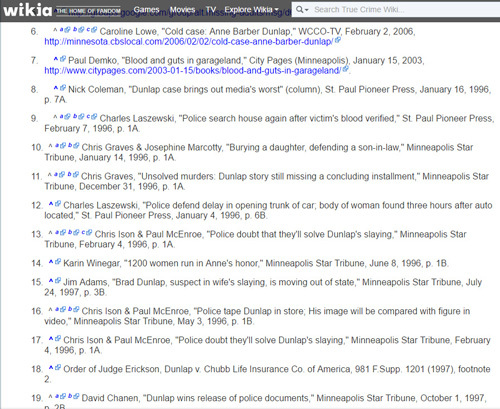 I took screen shots from the True Crime Wiki page if it is deleted. They are at the bottom of the post below the resources. There are interesting details there. One is about Brad running errands. Supposedly Brad stopped by a tropical fish store in Plymouth, Minnesota. However, when he got there he claimed that the store was closed. Apparently nobody saw him there as I have not been able to find otherwise. 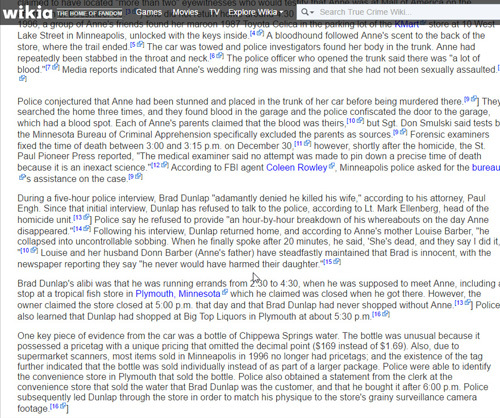 The problem is that according to True Crime Wiki (source links in the notes are broken) the store owner claimed that the store closes at 5pm and that Brad “never shopped without Anne.” If this is true, the store owner apparently knew the couple well. I am curious what he might have picked up on about their relationship based on body language, purchases, and how they behaved as a couple in public. Another thing was that Brad also shopped that day at Big Top Liquors in Plymouth around 530pm. If this is right, should I assume that Brad somehow got in touch with Anne and agreed to meet an hour later? The time 430pm was mentioned first. Another details: a clerk at a Tom Thumb store (a general groceries store) on Hwy. 55 and County Rd. 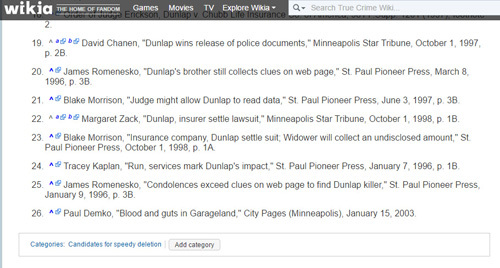 101 told the Star Tribune (again, links are broken) that he saw Dunlap in the store shortly after 6pm. The store is where Brad supposedly bought a water bottle. In this paper, a Chippewa Springs water bottle is mentioned. It supposedly was found in the car. If properly preserved, it should be tested for DNA. Even if we assume that all the above is true about Brad e.g. running errands, visiting the fish store, buying a water bottle, etc. then we still do not have anything to connect Brad to the crime scene in exactly that time in which Anne died. His shopping and bad timing does not make him guilty. Neither does the water bottle. Even if it is his, it doesn’t prove that he killed Anne during a knife attack exactly at the time she died. Maybe we can start to firm up that at one point on December 30, 1995 he was near the car on that parking lot. But that’s it. Unless we find blood on the clothes (especially the sleeves near the wrists) and shoes that Brad wore on Dec 30, 1995 and that blood turns out to be Anne’s, we have no ties. If what was said is true e.g. that there was a lot of blood and that Anne was stunned, and then killed in the car, the killer and the inside of the trunk lid should have been covered in blood. A living breathing human being whose neck gets slashed bleeds profusely. I have not found anywhere that Anne’s body showed signs of being stunned. Also I did not read that a stun gun was found inside the Barber residence. So far what I did read in this case is a severe lack of hard evidence. Police searched the Barber home several times and according to some papers authorities found blood in the garage. I have not been able to find out how much blood and how old approximately that blood was. It matters. Check my garage and you will find evidence on the ceiling of my clumsy attempts at some DIY projects from years ago. Back to the Barber garage. Apparently both Anne’s parents said that the blood found was theirs. She said that she had cut her hand on a piece of broken glass while taking out the recycling around Christmas and that was most likely how she got blood on the door and the floor. She claimed that she also bled in the bathroom sink. If this is true then I assume that police checked the bathroom drain. He said that he had cut his hand while installing a latch on a door. He apparently got blood on a chisel which he cleaned with a tissue (and that means there could have been lint residue in the blood and on the chisel). I have not been able to find in an article of which the links are not broken that either parent has been excluded as the blood sources. Based on what I read I have no reason to assume the contrary. If you have a link with further details, let me know. Suppose the blood is from either Anne’s parents or from Brad: we still do not have a crime scene. Their blood in the garage does not prove that they killed Anne or, that Anne was killed there. Now if the blood was Anne’s we might get somewhere if the blood was fresh. But even then, if you live in that house it isn’t unusual to find biological materials. Unless we find evidence of covered up blood stain patterns or evidence that blood stains were scrubbed clean, we have nothing. The articles state that Anne died of multiple stab wounds. I have not been able to find whether a murder weapon was ever found or, that police made details public about the kind of knife that was used to kill Anne: the type of knife (house hold, hunting, etc. ), the blade (serrated or plain), handle, etc. As for a motive, money sounds obvious but it is also too easy. Without any other sign of possible intent, deception, debt, fraud, bankruptcy, etc. it doesn’t make Brad guilty. Maybe greedy and in a hurry but not guilty of murder in the first degree. If we find evidence that Anne and Brad were not a happily married couple and were somehow deep in trouble then we have a reason to look at Brad again. Unless we find conclusive, hard evidence that can link anyone to the victim at the crime scene in the correct time period, we have nothing. We may have thoughts, a gut feeling, or suspicions but without evidence that will hold up in court, we cannot act on those feelings or suspicions. Maybe the authorities have information that they have not made public so they can filter new leads, suspects, and tips. I hope they do. In the meantime, we can only help them by sharing Anne’s story online. If you have any information in this case please call Crime Stoppers at 1-800-222-TIPS. Thank you for remembering Anne Barber Dunlap with us.